So I did this sound mod quite some time ago and it worked http://www.48katmos.freeuk.com/soundmod.pdf. 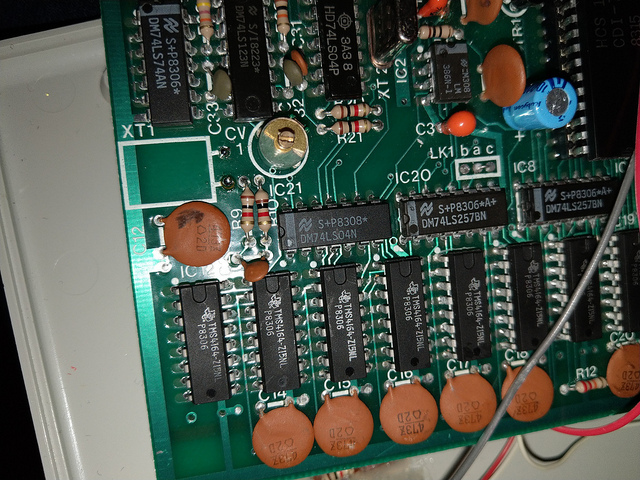 When I recently had to dismantle my Oric-1 to repair the keyboard multiplexer I de-soldered and then put everything back together but thought it would be good to add an RCA socket rather than having the audio lead directly soldered to the switch. To my utter bemusement however when I plugged everything back in it didn't work. I can get sound to the internal speaker fine but switching to the external (speaker is in my 1084 monitor), I get nothing, nadda, not a thing. The only change I have made is to add a socket rather than having the lead going directly from the switch to the monitor via a wired RCA connection. I wonder if this has caused the issue but I have checked the connections and they are all good. What am I missing? 1. Are the colors of the wires as on picture? Yes that colouring is correct. I will do some more testing. I did cut the track, yes. I have replaced the switch in case it was that. I got a brief blip from the monitor when I switch to it but then nothing. Switching back to the internal speaker works. I will see if I can get some PC speakers and test further. Check the cable from RCA to the 1084 monitor, check the switch on the 1084's back (if any) - is it in correct position? Check again if the switch makes good connection in both positions - measure the resistance between the middle pin and the other two. BTW, check the resistance between the left and the right pin too. If everything looks good but no sound, then you can connect short temporary the left and the right pin of the switch. 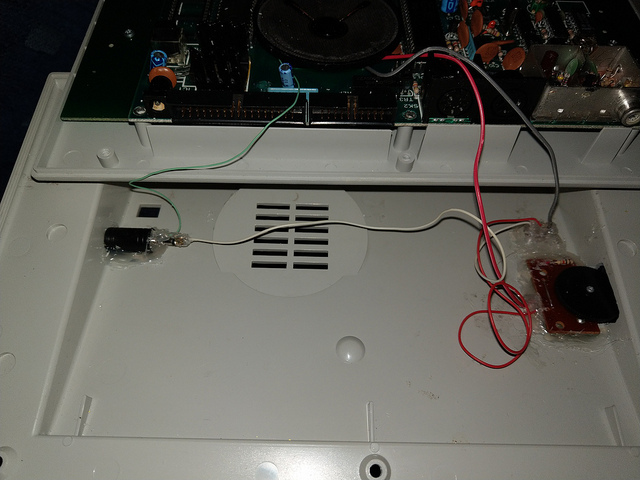 So you should have sound from both the internal speaker and from the 1084. If you have sound then somehow the switch is not working. If you still not have sound from monitor then the problem should be in the RCA. Maybe you face a problem of level adaptation. 4) Chroma signal : (1 V ± 0.1 Vpp). 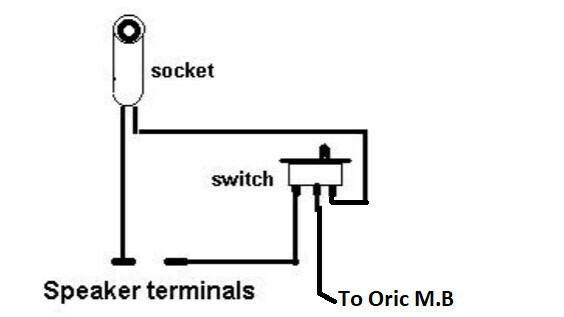 impedance: 75 Ohm"
The impedance of the input is far away of the Oric speaker (8 Ohm). And so is the voltage : the on-board LM 386 amplifier of the Oric is able to push up to 5 V ! Much more than you want (2 Volt eff max) ! Last edited by Voyageur on Mon Feb 18, 2019 1:29 am, edited 3 times in total. This has got me thinking. When this MOD last worked I had no less than 5 systems sharing the audio input of the 1084 via splitter leads and adapters. This would add resistance right? I remember when I had one with a loose connection I would find the Oric wouldn't output sound tonthe monitor until I plugged it back in. My setup now is that I just use the 1084 sound with my speccy and the Oric and this is when the problems started. I am going to install a pot. I am not really bothered about the sound going to the monitor anyway, volume control on the Oric is the main thing I am after. Many thanks again for the pointers, I will get back with my progress. 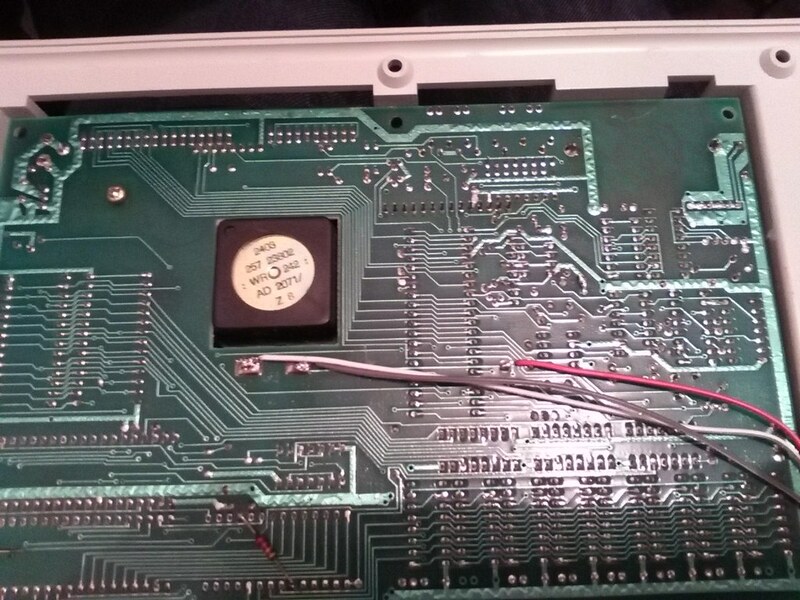 I have published a way to control Oric's volume in the Oric.org website, see forum and look for "REGLAGE DU SON DE L'ORIC". Sorry, it is in , but you can use the schematics. Hope that could help you. Maybe I have to translate it for defence-force.org ? I am in business!! I have installed a pot and it has resolved my issues. I can now get sound both from the internal speaker and the monitor. Thanks so much for all the pointers. Now I can actually try out the loader android app which I was hassling @iss about! Here is where I have housed the pot. 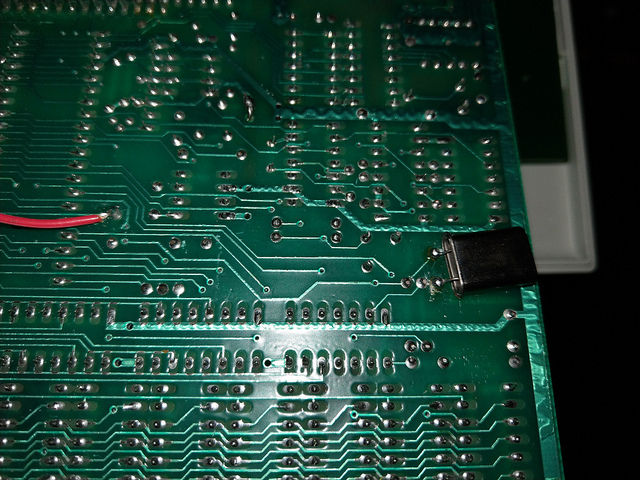 I had to relocate the crystal component to the top of the board to allow it to fit otherwise it wouldn't turn. Despite the drilling of an Oric case (something I will never get used to), I find your solution really nice. Congrats!